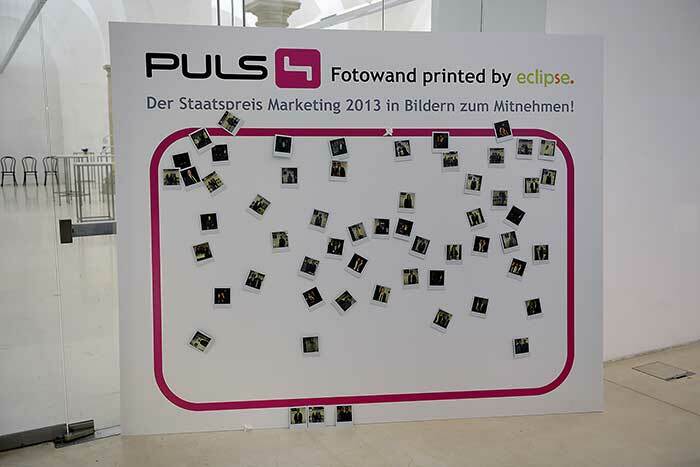 Eclipse has sponsored the Austrian Marketing Award 2013 | Eclipse Print a. s.
In the beginning of June the ceremony of the Austrian Marketing Award has taken place in the assembly hall of science in the first district of Vienna. 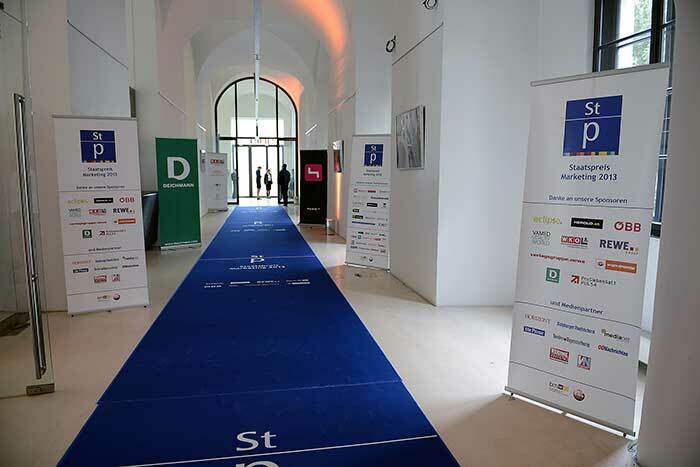 At this event, which was initiated by the Wirtschaftskammer and the Austrian Marketing Confederation, more than 400 exclusive guests took part and were welcomed in a pompously ambience. In total there were 183 submissions , in several categories winners have been elected. 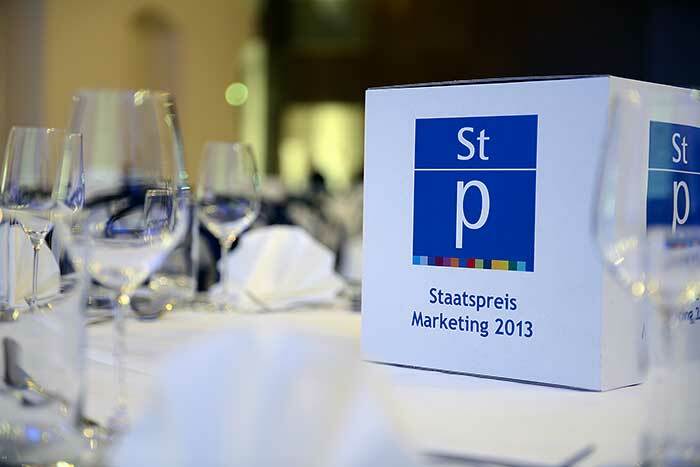 The actual Marketing Award winner is company ‘’Stiegl’’, which was honoured by the Minister of Economy Dr. Mitterlehner and AMC-President Mag. Wiedenhofer. 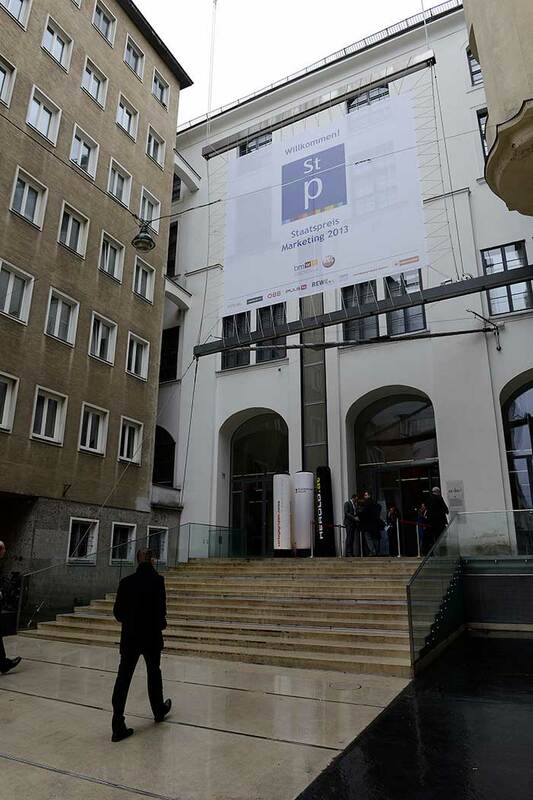 Eclipse has sponsored this memoriable event and produced special branded carpets, rollups and a huge banner above the entrance. WELCHE DIGITALDRUCKMASCHINE IST DIE BESTE?